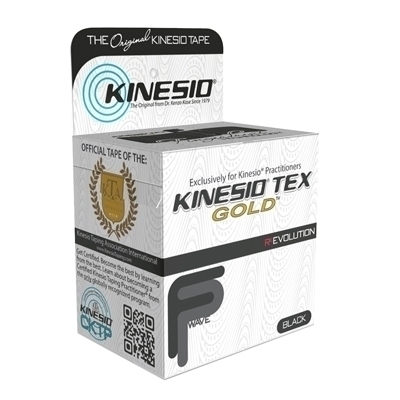 Kinesio Tex Gold FP tape core properties remain for all Kinesio Taping specifications. Brings Nano-touch stimulation to epidermis and layers beneath. Mimics gentle human touch yet provides a more effective hold. Micro-grip deep set adhesive manufacturing process provides better grip and hold with less adhesive surface area. Higher grade cotton with more breathability. Features a new protected weave process for improved comfort. Hypoallergenic and latex free for all patient populations. Exclusively available to medical care professionals.